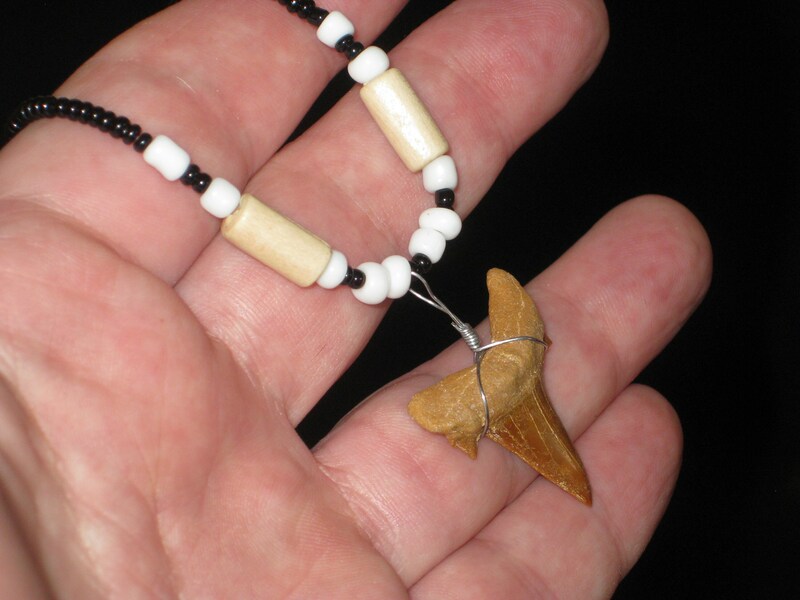 Real Fossil shark tooth necklace, from Morocco. 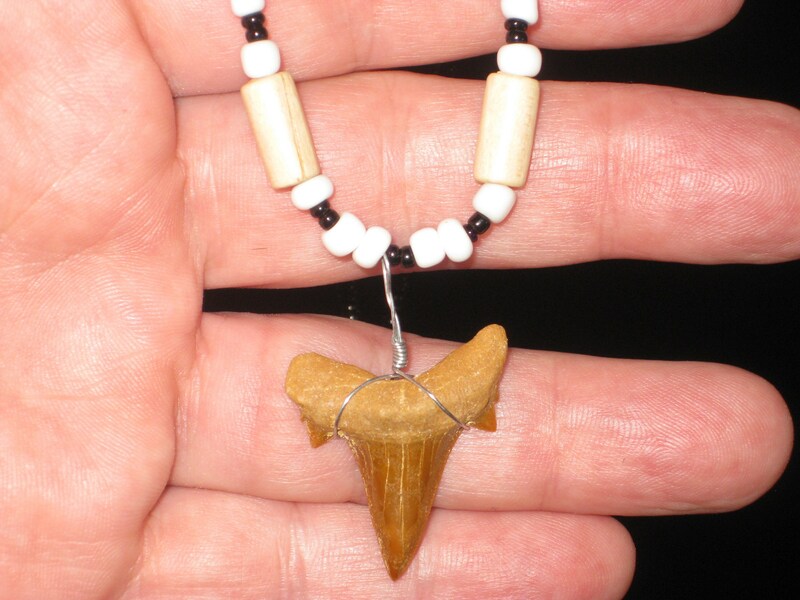 Real fossil shark tooth millions of years old, very rare. 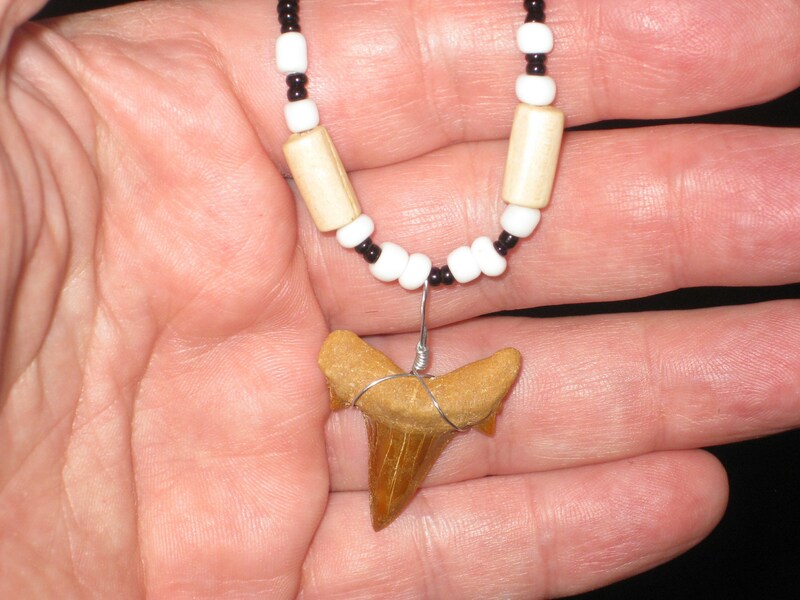 The necklace is 19" long. 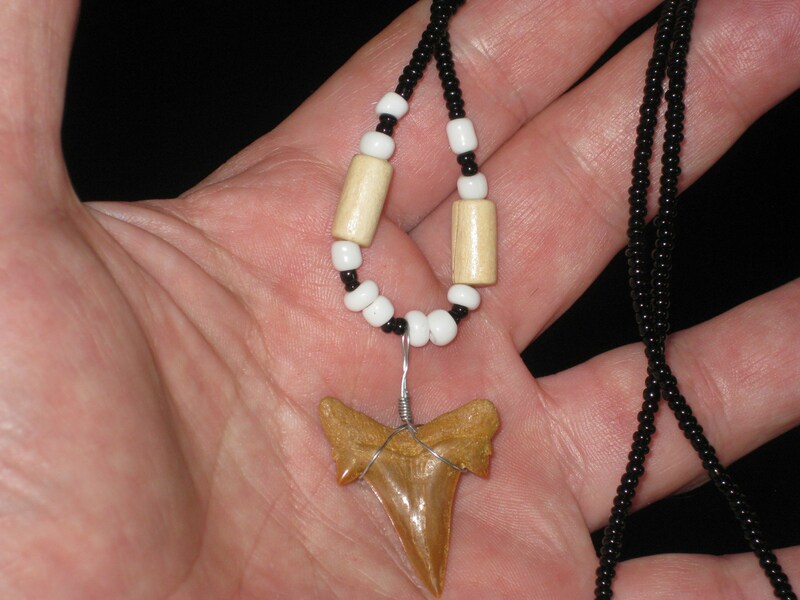 This piece is made and shipped from Canada, but the fossil shark tooth comes from Morocco and is millions or years old. All my jewelry comes from a smoke and pet free home. If you have any questions, please don't hesitate to ask.